This charming estate ring of 14K Yellow Gold is prong set with a lovely oval Australian opal and a brilliant cut diamond. Its angular motif is sculptural and gives us the feeling of fine architectural design. A really beautiful piece of wearable sculpture. 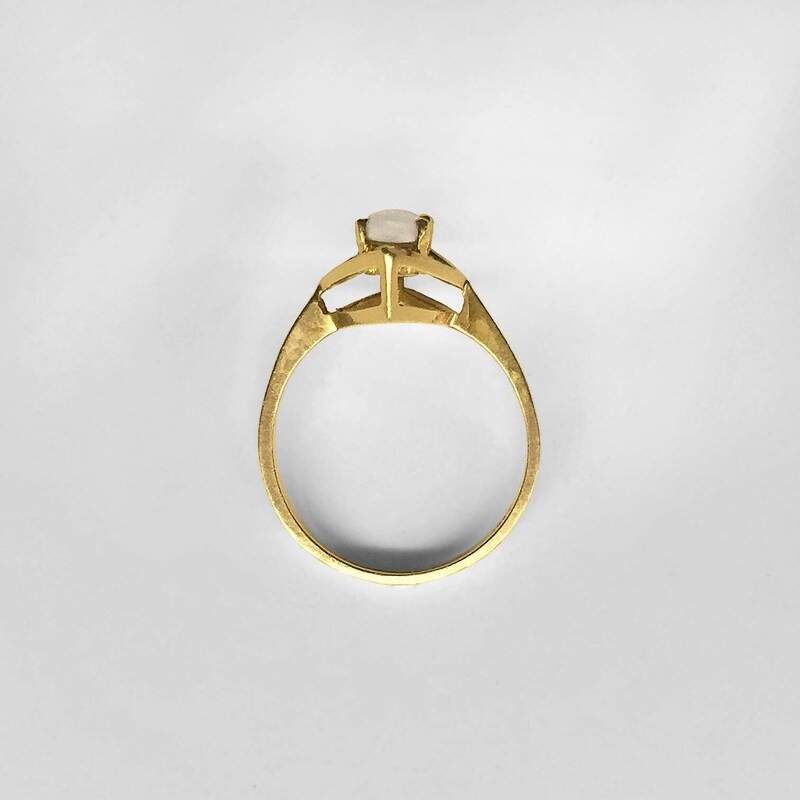 This ring can easily be sized larger or smaller in our own workrooms. Please give us a call at 716 886-1300 for details. 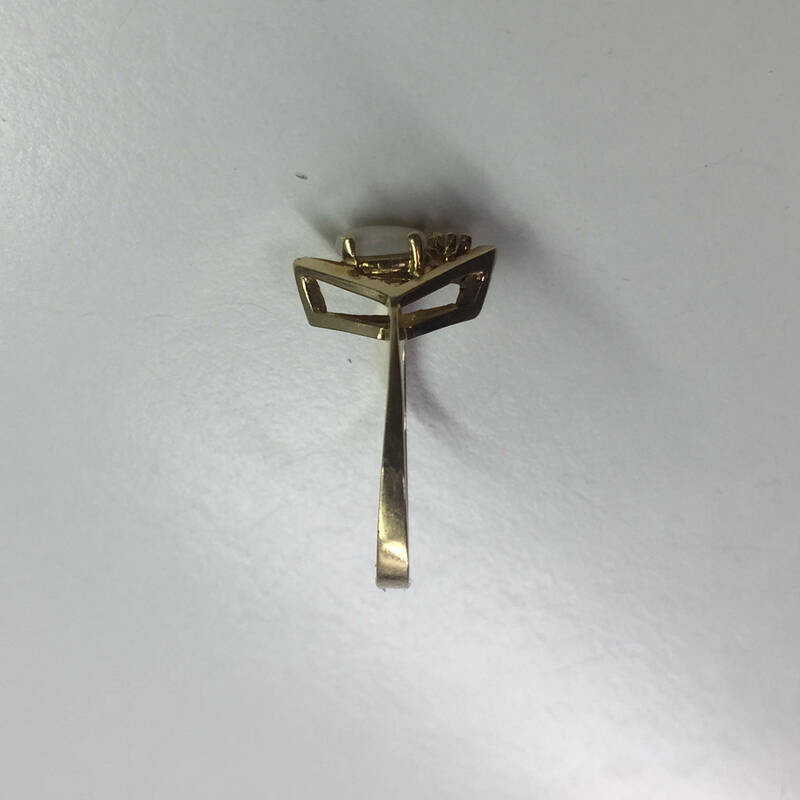 All jewelry purchased from us will arrive in a beautiful black jewelry case with our name and location embossed in gold on the inside cover, as well as an outer case also embossed in gold with our name. If you wish, we will also gift wrap free of charge any item purchased from us before it is sent. Just let us know... at Aurum the customer is always right. Our brick and mortar storefront is located in Buffalo, New York on Elmwood Avenue. We have been in business for over 53 years! Please visit our website www.aurumonelmwood.com and our Facebook page www.facebook.com/AurumJewelers for more information about us and our jewelry. 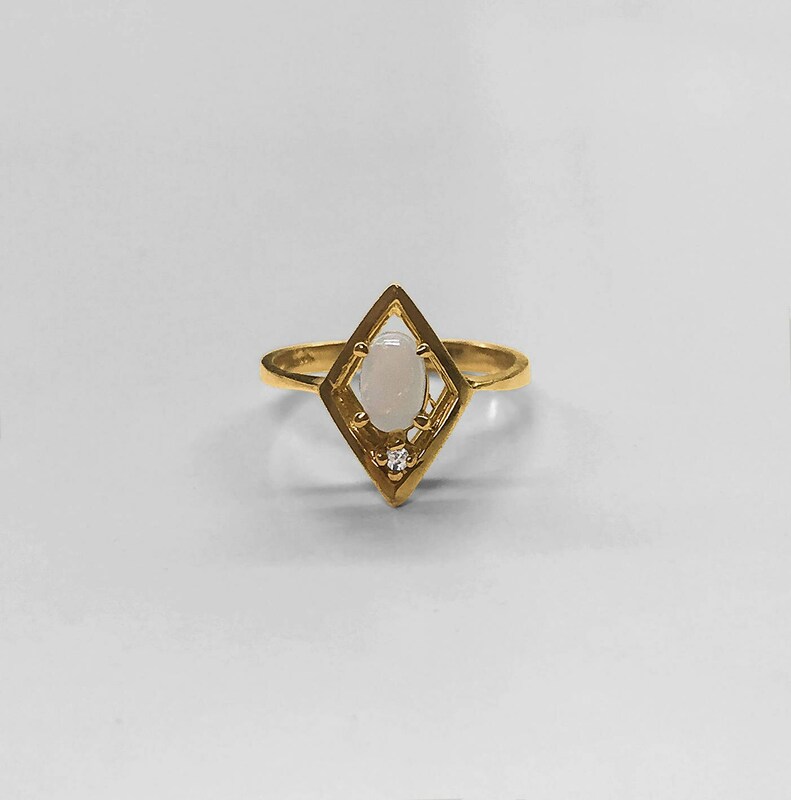 We can alter the size or length of almost any piece in our own workrooms as well as change any gemstones in almost any of our jewelry to suit your needs. Even vintage and antique pieces can be altered to suit your tastes if you wish. Also, please see our 100+ Google and Yelp reviews.